Well life must go on and in this case holidays too. It was strange to cross the channel without a campervan but we managed ok. 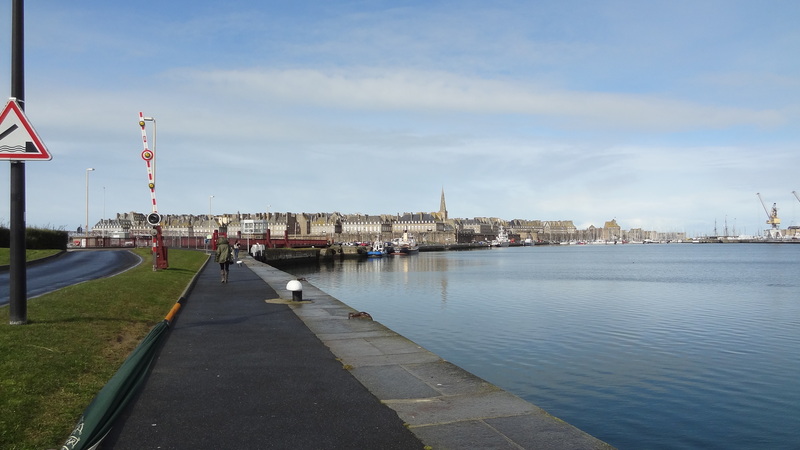 This time we went in our car – a BMW X5 and tried the Portsmouth to St Malo route. It would have been ideal to have gone from Plymouth to St Malo as this would be the shortest drive in total however for reasons best known to Britany Ferries they appear to only run that service when they see fit. In our case not when we wanted to travel. To be straight this was never meant to be a holiday as such as we were scheduled to “dog sit” with a little baby sitting thrown in while our family went skiing at Ax-les-Thermes. The weather when we left Torbay was wet and windy and this continued throughout the whole 17 days. The Portsmouth crossing is an overnight trip so we took a cabin in the hope of getting a reasonable nights sleep. We did better than expected and arrived in St Malo on schedule at 8:15 am however the disembarking took almost an hour and we couldn’t help but think Britany Ferries could learn a thing or two from the other ferry operators. We filled up with fuel at the local supermarket and immediately ran into a traffic jam that delayed us by around an hour. We finally got underway proper around 10 am and stopped for lunch around 1 pm. Unfortunately the rain persisted with a fair amount of spray making driving at best stressful. We had thought it may be possible to make it to Carcassonne in one day and under normal circumstances that would be possible to arrive around teatime however what with a late start, poor weather and traffic we decided to call it a day around 5pm and booked into a Campenile Hotel and settled down to a beer and good meal in a village just east of Bordeaux. That gave us an easy run of around 250km in to Carcassonne arriving just after 11 am. It was great to see the family and the children change so much every time we see them. Our task was as mentioned earlier to walk the dogs daily with an added bonus of looking after Ingrid for a couple of days to give the rest of the family a chance to get settled in and sorted out with ski school, lift passes etc. 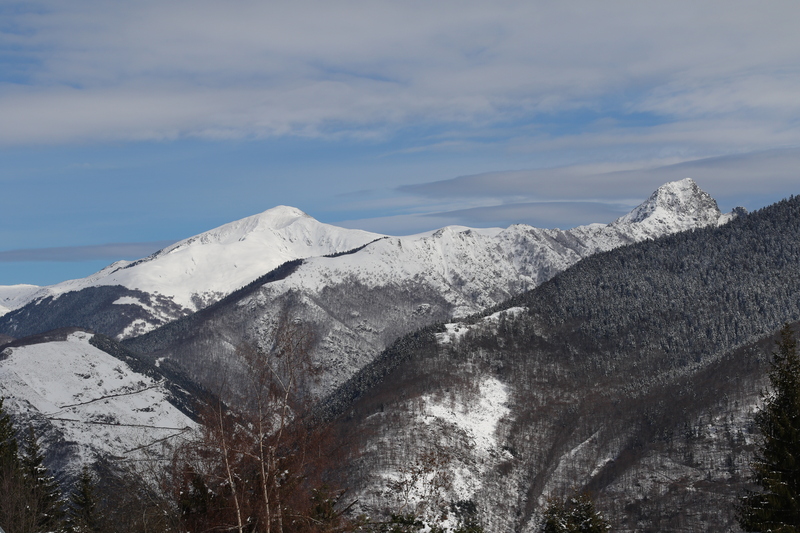 We then joined them on the Tuesday for a couple of days and delivering Ingrid back so she could enjoy skiing which she did with much enthusiasm. The children loved skiing and all enjoyed sledging as well. 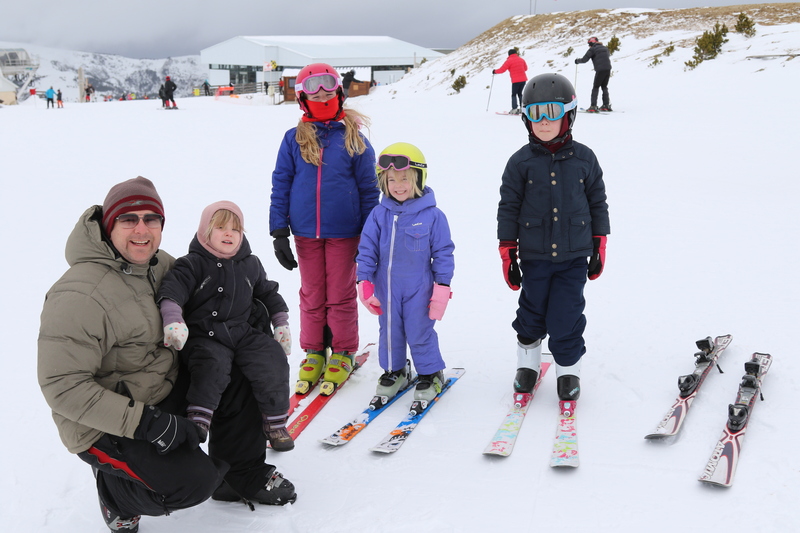 It was Greta and Wilfrid’s third year so they were off with dad blasting down blue and red runs whenever possible. Dave had to “share his time” between teaching Felice and Ingrid and then fitting in a bit if serious skiing with Greta and Wilfrid. We tried to help out wherever we could. The weather was not good and alternated between too warm and too wet. On a positive note there was plenty of snow. We returned to dog walking duties on Thursday afternoon and continued until the family arrived back on Saturday. The weather was pretty atrocious – really windy, cold (5 c )and wet with a wind chill factor making it feel more like minus 5. We didn’t make the effort to get out and about much as the rain put a damper on things. When the family returned we braved the weather and walked around the local lake but postponed a trip to Gruissan. As compensation Dave cooked his special moules frites – three kilos of fresh mussels in wine – that’s around a kilo for each of the mussel eaters – the others enjoyed salmon. We left Carcassonne on the Monday and headed back towards St Malo stopping the night at the village of Le Graves and the Hotel Croix Blanche. I must mention here that this was a superb find as we were made extremely welcome, had a lovely clean functional room and one of the best value for money meals we can remember. All made better by the excellent service of the proprietor. The intention was to spend a couple of days in St Malo before boarding the ferry back to Portsmouth and home. We had a good day re-visiting St Malo, had a Galette lunch at the restaurant on the city wall, had a meal in the evening to round things off. We arrived the following morning at the ferry terminal only to be told that the ferry had been cancelled due to bad weather. In fact the Roscoff, St Malo and Le Havre ferries had been cancelled. We were faced with the choice of staying in St Malo another two days or driving to Caen to catch the remaining afternoon ferry to Portsmouth. We looked around at the driving rain, storm force winds, cold weather – a no brainer really so off we set to catch the Caen ferry. Following a rough crossing we docked at Portsmouth on time and finally arrived home around 11:30pm that night. The car performed well and apart from the weather we had a great time.